Drag the points of the triangle to change its shape and size. 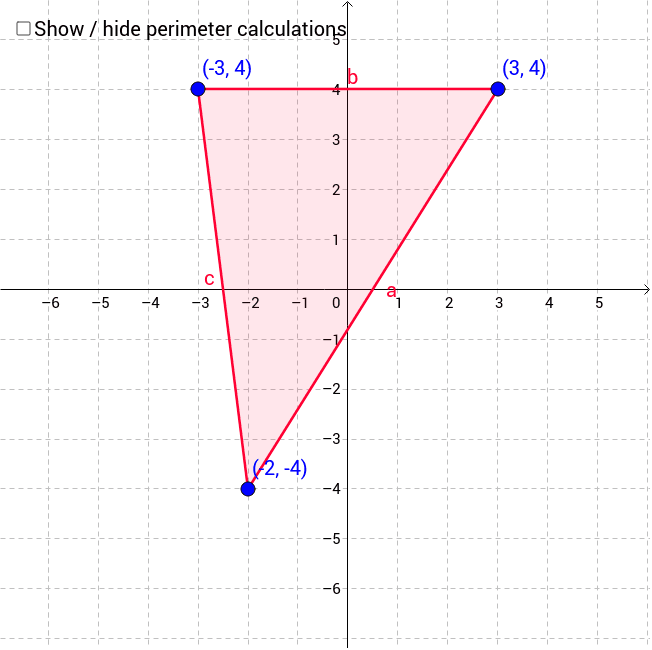 See if you can figure out the perimeter for the triangle you create. Click the checkbox to see the perimeter calculation and check your answer.